Having a problem with your sewage may be the single grossest thing that can happen from a malfunction in your home. It’s a problem you should have addressed immediately, and the plumbers at John’s Plumbing & Pumps, Inc know just what to do. No matter what kind of sewer line repair in Parkland that you need, we’ll come to you, diagnose the problem, and offer a fast solution. While the odor and gross factor is one of the main reasons that people want sewage lines cleared up ASAP, there’s one reason that’s even more important. According to the IICRC and other industry insiders, water contaminated by sewage is the most dangerous category of water – category 3. Category 3 water carries significant health risks to the occupants and visitors to the property. Along with what was flushed down the drain directly, category 3 water can also pick up silt, metals, and toxic materials. It’s not uncommon for this water to carry harmful bacteria that can cause serious illnesses. With significant exposure or ingestion, there is also the chance for it to be fatal. Call us day or night for sewage repairs! 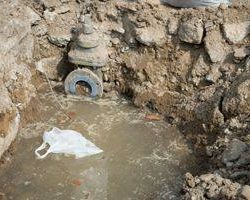 Because sewage problems can be extremely damaging and come with such high risks, it’s considered an emergency procedure by some plumbing companies. And John’s Plumbing & Pumps is one of them. For these and other emergency situations, call us day or night and we’ll get someone over there right way so you can stay safe. What are some signs I might have a sewer problem? If you don’t have a drastic immediate issue such as sewage backup at your property, you might not realize it right away. By noticing some of the common signs of a sewage system problem, you may be able to stop it before it turns into something more serious. Trust your nose. If you start to smell the pungent smell of sewage, it’s not something you should ignore. Even if you can’t see anything odd, a persistent odor means that something isn’t working properly. Call us if it doesn’t go away and we’ll track down the source. Continuous slow draining. Clogs are a common plumbing event, and having your toilet not work when you flush too much toilet paper down is normal. But if your sinks and toilets are slow to drain, it often means you have a bigger issue and may require professional drain cleaning. Low water pressure in multiple outlets. Having one sink or toilet backup almost always means that there’s a clog. But if multiple plumbing fixtures are affected at once, it’s a cause for concern. 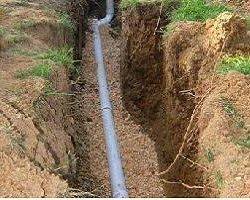 This could mean that have a problem with your sewer line that should be addressed right away. Sewage or puddles in your yard. Even if there’s no backflow from your shower drain or toilet, that doesn’t mean the sewage isn’t coming up somewhere else. Sometimes, the sewage line break can be in your yard. By the time you see it the smell has likely been there for awhile and it should be fixed immediately. With friendly service and over 60 years of experience, we can handle it all.